WASHINGTON: In reaction to sharp criticism from lawmakers and the media, the business travel industry has launched advocacy campaigns to validate its role in the US' economic recovery. WASHINGTON: In reaction to sharp criticism from lawmakers and the media, the business travel industry has launched several advocacy campaigns to validate its role in the US' economic recovery. The US Travel Association, the newly minted trade group which represents travel companies and organizations, travel and tourism offices, and convention and visitors bureaus, hired APCO Worldwide in January for its public affairs effort. Some companies, especially those that have received Troubled Asset Relief Program (TARP) funds, have canceled meetings and events, while even companies that have not received bailout funds have reportedly canceled trips to avoid bad publicity. “There's a state of fear,” Freeman said. The rolling effect of the cancellations will hit blue-collar workers with jobs at hotels, restaurants, and convention centers, and states who receive travel tax revenue, added APCO SVP Mike Hotra. The economic stimulus package that President Barack Obama signed last Tuesday requires that TARP recipients institute policies on luxury expenditures, including events and entertainment. As part of its message, the DC-based association developed travel guidelines for companies and talking points and toolkits for its member organizations. It is also reaching out to business media and bloggers. The goal is to reach policymakers and the press as part of the educational effort. It also hopes to reassure business leaders that meetings and conventions are a viable aspect of business, especially as it pertains to staff-incentive programs, said Freeman. 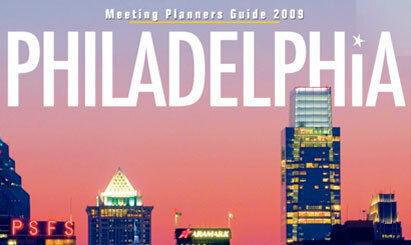 Big convention cities like Philadelphia and Las Vegas are rolling out their own initiatives. The Philadelphia Convention & Visitors Bureau launched a meetings-focused campaign on February 16 called “Serious Value for Serious Times,” said Danielle Cohn, VP of marcomms. Targeting businesses and business-travel media, the initiative aims to encourage local and regional businesses to look at the city as a cost-effective solution for meetings. The effort has a total creative budget of $150,000. The Las Vegas Convention and Visitors Authority will launch an ad campaign in the coming weeks to encourage business travel in the city, said Jeremy Handel, PR manager for the organization. For the business aviation community, the challenge is changing public perception of a seemingly luxury perk, said industry professionals. The National Business Aviation Association (NBAA) and General Aviation Manufacturers Association (GAMA) partnered for the first time in more than a decade to launch the “No Plane No Gain” campaign on February 17. The two groups created a Web site to educate the public about why businesses use private jets and to provide tools for businesses to explain why they use them, said Dan Hubbard, SVP of communications for NBAA. Plans for educational webinars, studies, and surveys are also in the works. To complement what the NBAA and GAMA are doing, aircraft manufacturer Cessna is working on a predominately ad effort, which is “pure advocacy,” said Doug Oliver, corporate communications director at the Wichita, KA-based company.